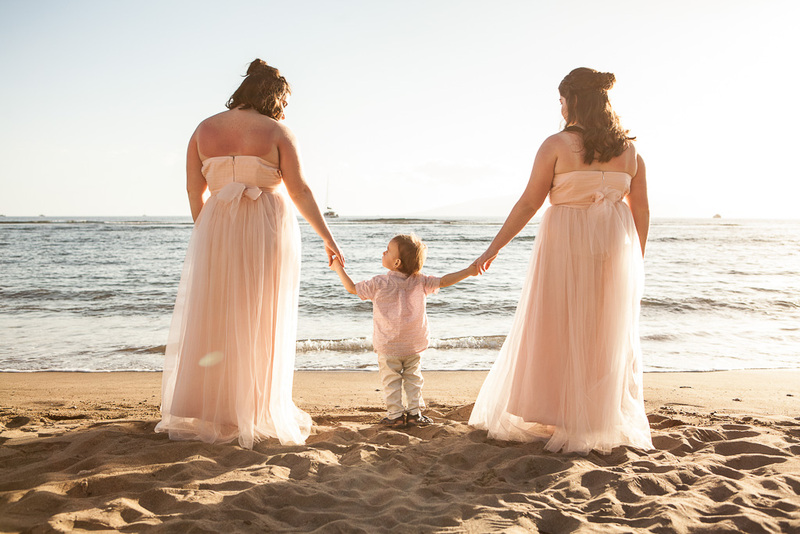 Linda and Miquel, family wedding on Lahaina beach. 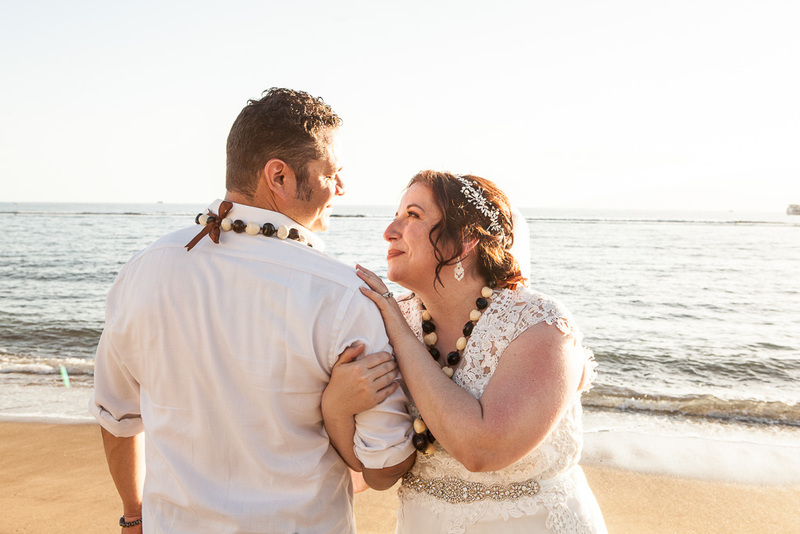 Linda and Miquel had a long-standing dream of bringing their children to celebrate a Maui beach wedding and today they realized that dream on Maui’s Kamehamehaiki Beach. 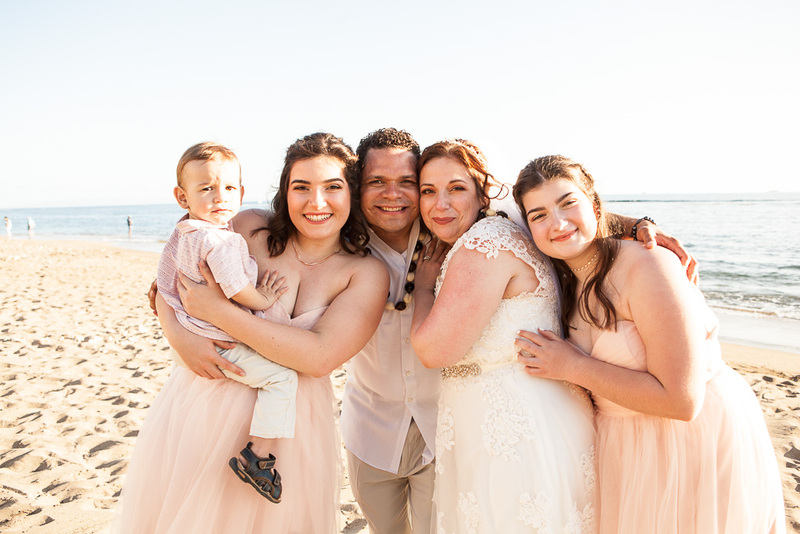 Miquel, Linda and their children were beautiful in peach and white, standing on the golden sand in the sunlight as they recited their wedding vows. 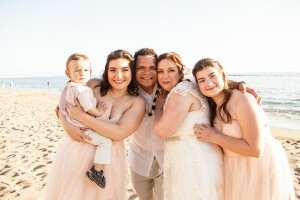 Linda and Miquel enjoyed their post-wedding photography, along with their very well behaved children. 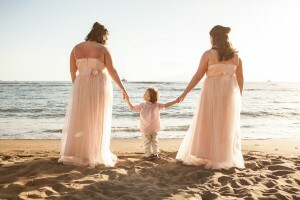 The children were allowed to leave early, so as to not miss any of the Feast at Lele’s luau festivities. Miquel and Linda had their romantic sunset wedding photos taken by Desiree Maher and then joined their children for a very joyful Hawaiian celebration. 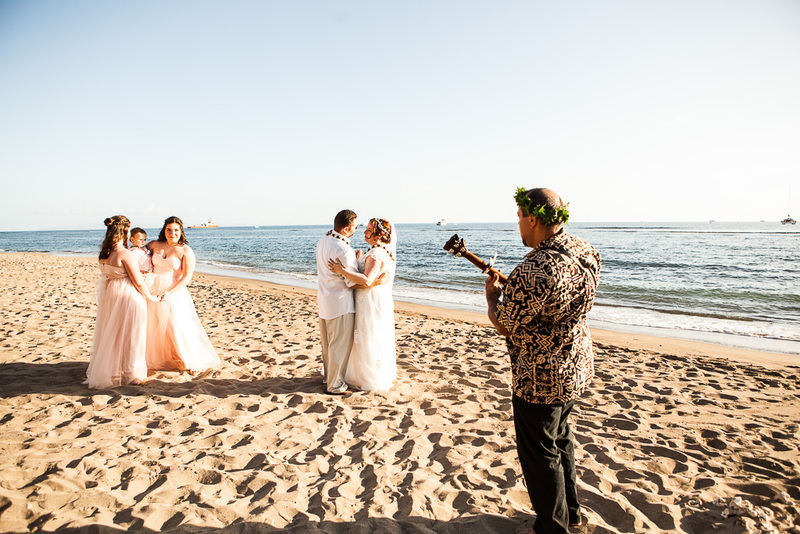 Kai Akin serenades the family. Validation: Sum of 3 + 8 ?